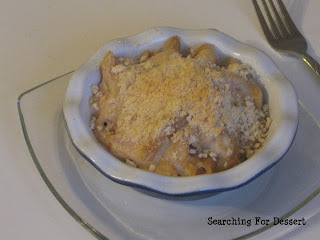 One of my favorite things is that you can use any cheese that you want to! I used colby jack and an Italian blend and was really happy with the results but you could use whatever is in your refrigerator that would taste good to you. It's sprinkled with a parmesan and panko mixture to add some crunch to the top, which I think is nice. I put them in four 4 1/2" mini pie dishes and it all fit perfectly and my entree was pre-portioned! That's one of the reasons I love the mini pie dishes, because they're awesome for so much more than just pies. 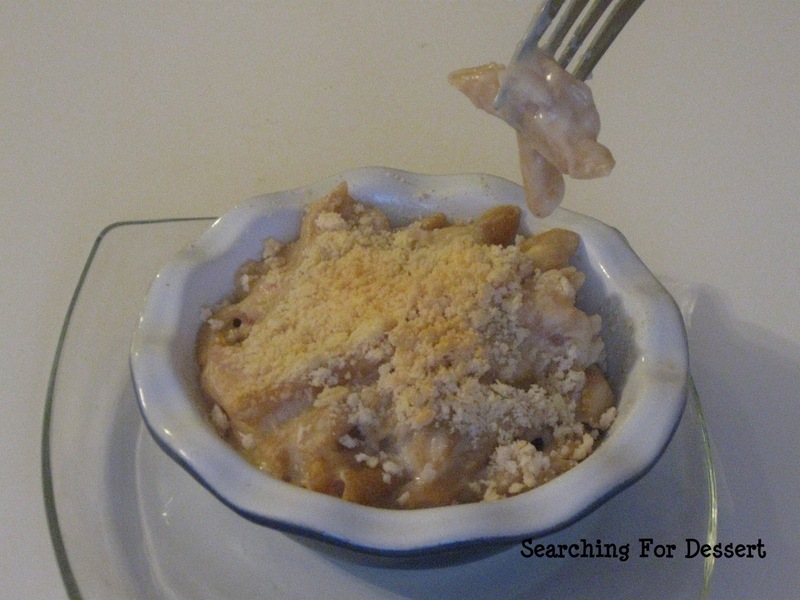 We paired this macaroni and cheese with some green beans and a salad to round out the meal. Happy Baking! 2. Heat oil in a medium Dutch oven over medium heat. Add onion; cook 5 minutes or until tender, stirring often. 3. While onion cooks, cook pasta according to package directions, omitting salt and fat. Drain. 4. Combine cornstarch and ¼ cup milk in a small bowl. Add remaining 1 ¾ cups milk to onion; bring to a boil. Gradually stir in cornstarch mixture. Cook 2 minutes or until sauce thickens, stirring constantly. Remove from heat, and stir in salt, pepper, and nutmeg. Add cheddar and mozzarella cheeses, stirring with a whisk until cheeses melt. Stir in pasta. Pour pasta mixture evenly into 4 (1-cup) gratin dishes or ramekins coated with cooking spray. 5. Combine Parmesan cheese and breadcrumbs; sprinkle over pasta mixture. Bake at 375° for 20 to 25 minutes or until sauce is bubbly and top is brown.